Picture your baby in a cute baby bean bag chair. Now how precious is that? Yes, they actually make a baby bean bag chair! Who knew? Baby Beanbags also grow with your children. So, you’ll have a baby bean bag chair that will soon be a big kid bean bag chair! How great is that? Bean bag chairs seem to be becoming more popular again. I remember when I was a child wanting a bean bag chair so badly. They were always so comfy and fun. Baby Beanbags offers a beanbag that, thanks to the swappable covers, grows with your child from newborn to school age. The beanbag filling offers supreme comfort by molding to your baby’s body, helping them to feel secure and content. It also allows you to change the elevation of your child’s seating position so you can lie them down for snoozes and sit them up for feeds and interaction. 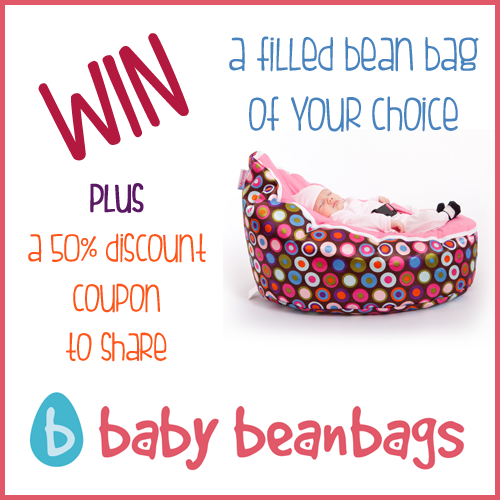 The prizes will be any filled beanbag for the winner and a 50% savings coupon for the winner to share with a friend. Keep: A filled beanbag of choice. Share: a 50% savings coupon! 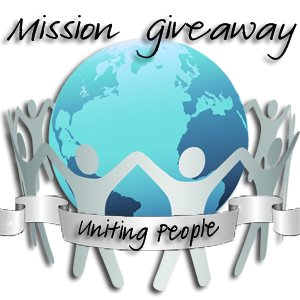 The Giveaway will open up on 5/28 12:01 am EST and Close on 5/31 at 11:59 pm EST. Open to US only.